Good morning friends and happy Friday! Here's a round-up of my favorites this week. Enjoy! Have you ever thought: I wish I had a way to test-drive this outfit to see if I like it before spending my hard-earned money? Now you can with Stitch Fix. Basically, after filling out a style survey to figure out your style, Stitch Fix will send you a package with five clothing and accessory items based on your style. You can try on everything and keep what you want and send back what you don't. The average price point of items you decide to keep is $75. Not too shabby. 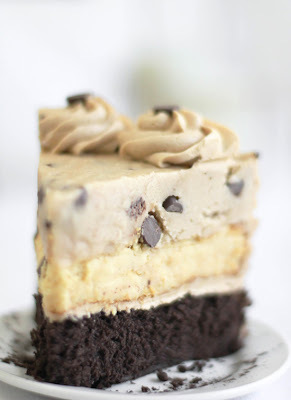 My favorite recipe discovery of the week is Sprinkle Bakes blog's Chocolate Chip Cookie Dough Devil's Food Cake Cheesecake. Is this even legal? 'Nuf said. Ever since I saw this on pinterest earlier this week, I cannot stop thinking about this top from Anthropologie. How great would this go with just about anything from a pencil skirt to a pair of skinny jeans? It's also available in navy and pink. I also think this chevron bracelet would complement the top above very nicely. Simple and lovely. If only I had this lemonade stand when I was a kid. I can guarantee I would have been very successful! Also, in looking at this photo, I am beginning to crave a nice cool glass of lemonade. 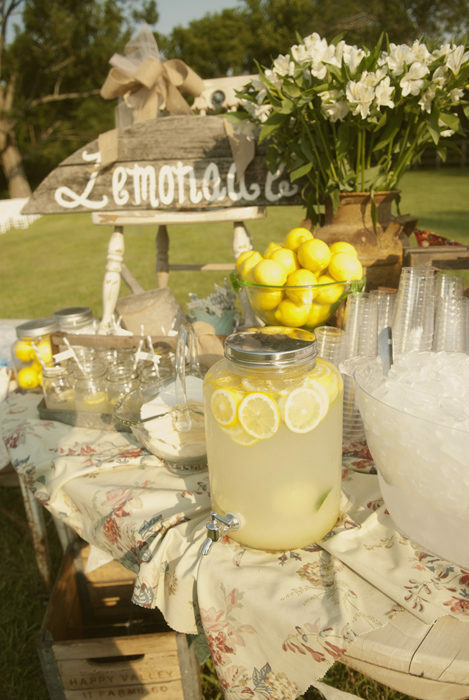 What a cute idea for an outdoor wedding or event. As for favorite products that I probably don't need but think are hilarious, that goes to the crustache. This is the perfect gift for people that are anti-bread crust and I can guarantee this would make lunch time a million times more fun. This is my favorite quote of the week. Finally, as we head in to the weekend I thought we could all use some humor. Check out Buzz Feed's 21 Absolute Worst Things in The World. I think we can all relate to lots of these. So funny. I love that top from Anthropologie - it's really cute! And I saw the idea about a S'Mores bar too this week, I want to try it sometime, it would be fun!